The 2018 midterm election took place on Tuesday, Nov. 6 and its results were announced early on Wednesday, Nov. 7. 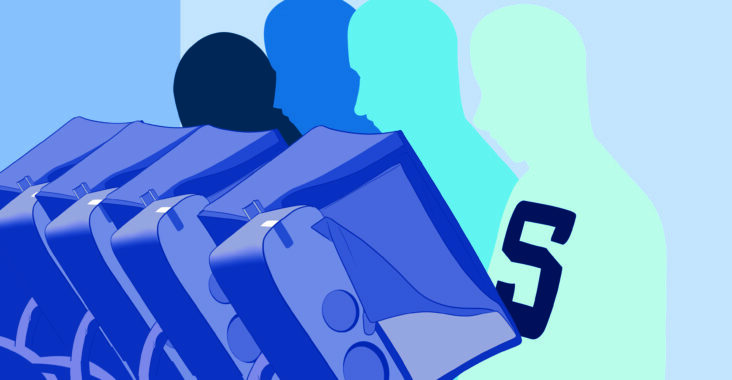 The University of Wisconsin-Stout students’ votes played a major role in the results this year. Wisconsin’s new governor is democrat candidate Tony Evers, defeating Incumbent GOP Governor Scott Walker. Democrat Tammy Baldwin was re-elected for her second term as a United States senator. Wisconsin’s GOP Attorney General Brad Schimel was defeated by Democrat Josh Kaul, and Doug LaFollette was re-elected as secretary of state. Democratic candidate Sarah Godlewski was elected as treasurer. Democrat Ron Kind, who was re-elected, represents the 3rd Congressional District that covers Menomonie and the most of western Wisconsin. State assembly representative for Assembly District 29, which encompasses Dunn County, is Republican Rob Stafsholt. The new Dunn County sheriff is Republican Kevin Bygd. Republican Katie M. Schalley was elected as the Dunn County clerk of circuit court. StoutReach and the Stout Student Association (SSA) hosted an event called “Rock the Vote.” At this event, students were able to learn about the election, how to find candidate information and how to register to vote. According to StoutReach Officer of Civic Engagement and Greek Life Coordinator, Jessica Jurgella, “Rock the Vote” took place through Nov 5 and 6. Members of the SSA and StoutReach assisted students that were confused about the voting process. Jurgella said they also reminded students what they would need to bring with them when arriving at their polling place. According to her, many of Stout’s students were also first time voters. According to Patrick Lyte, SSA Director of Legislative Affairs, through “Rock the Vote,” UW-Stout helped register over 550 student voters. The information on UW-Stout voter turnout was gathered from the various voting wards in Menomonie. A ward is where voters go in order to participate in an election. Wards 5 and 7 consist of on-campus Stout students. From these two wards, 721 students voted. However, Wards 5 and 7 are not the only locations where students that voted; those living on North Campus voted in Wards 3 and 4, and Wards 8 and 9 mostly consist of off-campus Stout students. According to Lyte, there were also a few off-campus students that voted in Ward 10; although most people in this ward are non-student Menomonie residents. An approximate of about 5,765 people voted in Menomonie.